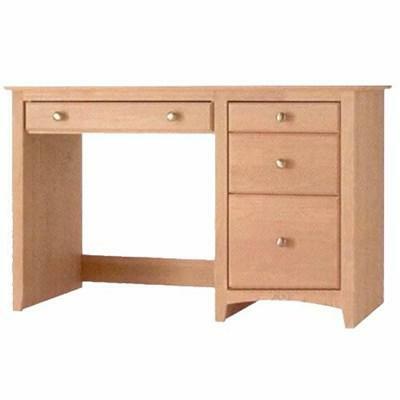 This Alder Desk by Mako Wood Furniture features pedestals in both sides with three drawers, wood knobs, and a solid alder wood construction. 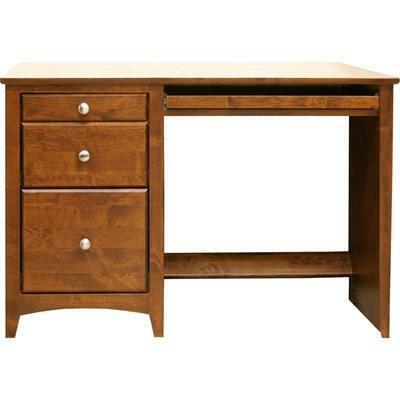 It also provides a pencil drawer and a natural wood finish. This Alder Desk by Mako Wood Furniture features pedestals in both sides with three drawers, metal round knobs, and a solid alder wood construction. It also provides a keyboard pull-out tray and a warm brown finish. 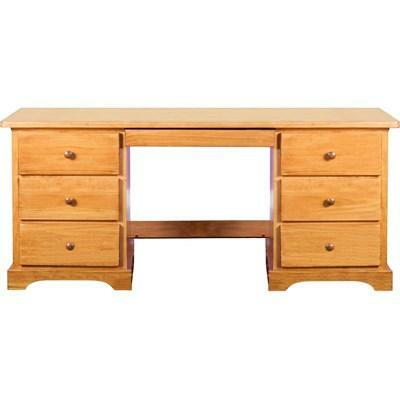 This Alder Desk by Mako Wood Furniture features a left pedestal with three drawers, wood knobs, and a solid alder wood construction. 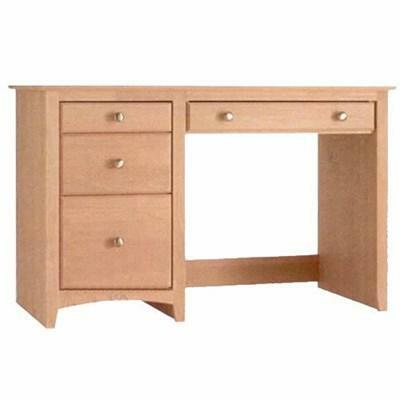 It also provides a pencil drawer and a warm natural finish. 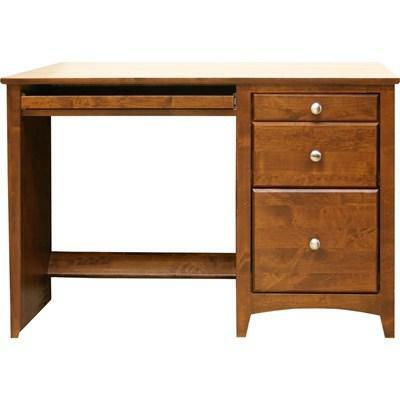 This Alder Desk by Mako Wood Furniture features a right pedestal with three drawers, wood knobs, and a solid alder wood construction. 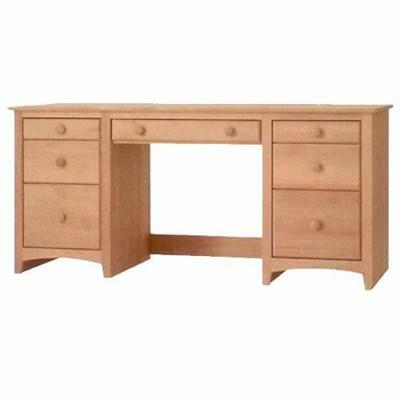 It also provides a pencil drawer and a warm natural finish. 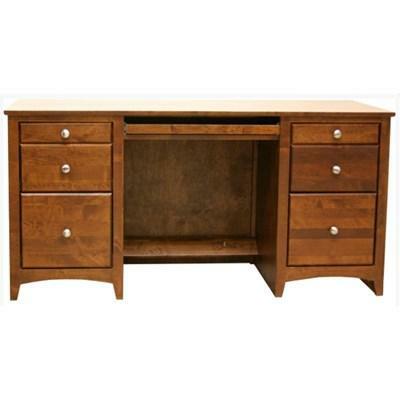 This Alder Desk by Mako Wood Furniture features a left pedestal with three drawers, metal round knobs, and a solid alder wood construction. It also provides a keyboard pull-out tray and a warm brown finish. This Alder Desk by Mako Wood Furniture features a right pedestal with three drawers, metal round knobs, and a solid alder wood construction. It also provides a keyboard pull-out tray and a warm brown finish. This Pine Desk by Mako Wood Furniture features pedestals in both sides with three regular drawers, wood knobs, and a solid pine wood construction. It also provides a pencil drawer and a warm pine wood finish.